Eunice Goes holds a PhD in Government from the London School of Economics and Political Science(2002), a M.A. in Politics from the University of Warwick (1997) and a B.A. in International Relations from Lusíada University (Lisbon, Portugal, 1994). Dr Goes has taught politics and researched at different British and American universities based in London, namely the LSE, the Royal Holloway College of the University of London, UCL, Ithaca College, amongst others. Dr Goes research interests lie in the areas of British politics, European politics, democracy, the interplay between the media and political institutions, the role of ideas in policy-making and multicultural citizenship. She has written about British politics and the Eurozone crisis. Currently she is currently writing a book on the Labour Party under Ed Miliband which will be published in 2015 by Manchester University Press. In parallel with her academic career, she has worked as a journalist. 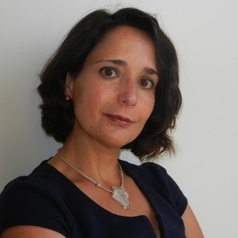 She started her journalistic career at “Diário Económico”, the Portuguese equivalent of the Financial Times in August of 1993 as a foreign news correspondent, and between 1996 and 2007 she was the London correspondent to the Portuguese reference newspapers “Diário de Notícias” (until 2001) and “Expresso” (from 2001 until 2007). Dr Goes has contributed with articles to “The Independent”, www.opendemocracy.com. She collaborates with the BBC and is a regular guest on the BBC News program “Dateline London”, and on the “World Today”, broadcasted by the BBC World Service.